When the seven gems of the magic Belt of Deltora were stolen, the evil Shadow Lord invaded the kingdom and enslaved its people. Determined to rid their land of the tyrant, Lief, Barda and Jasmine are on a perilous quest to find the lost gems, which are hidden in fearsome places throughout the kingdom. They have found three gems. Now they must seek the fourth, hidden in a shimmering, barren waste, kept jealously by an unknown guardian. Separation, confusion and strange, terrible enemies await them in the ordeal of the Shifting Sands. 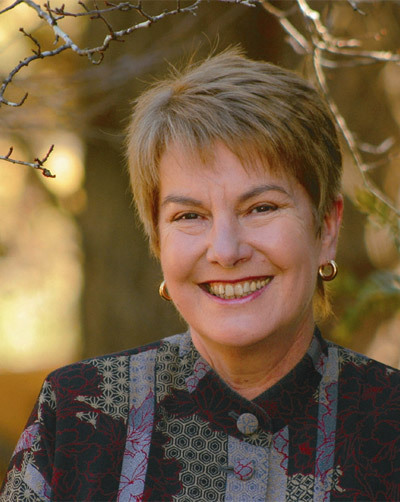 Emily Rodda is one of Australia’s most successful, popular and versatile writers, who has won the Children’s Book Council of Australia Book of the Year Award for a record five times. A former editor of The Women’s Weekly, Emily is also the best-selling author of adult mysteries under her own name of Jennifer Rowe. Her children’s books, for a range of ages and genres, exhibit a mastery of plot and character. Amongst her many books, she has written Crumbs! ; Finders Keepers and The Timekeeper (both serialised for television); Rowan of Rin; Rowan and the Travellers;Rowan and the Keeper of the Crystal; Rowan and the Zebak and Rowan of the Bukshah, all published by Omnibus Books. Rowan of Rin was the Children’s Book Council of Australia’s Book of the year for Younger Readers in 1994. Rowan and the Keeper of the Crystal was short-listed for the 1997 Children’s Book Council of Australia’s Book of the Year Award for Younger Readers. Emily Rodda is one of Australia's most successful, popular and versatile writers, who has won the Children's Book Council of Australia Book of the Year Award for a record five times. A former editor of The Women's Weekly, Emily is also the best-selling author of adult mysteries under her own name of Jennifer Rowe. Her children's books, for a range of ages and genres, exhibit a mastery of plot and character. Amongst her many books, she has written Crumbs!, Finders Keepers and The Timekeeper (both serialised for television); Rowan of Rin; Rowan and the Travellers; Rowan and the Keeper of the Crystal; Rowan and the Zebak and Rowan of the Bukshah, all published by Omnibus Books. Rowan of Rin was the Children's Book Council of Australia's Book of the year for Younger Readers in 1994. Rowan and the Keeper of the Crystal was short-listed for the 1997 Children's Book Council of Australia's Book of the Year Award for Younger Readers.